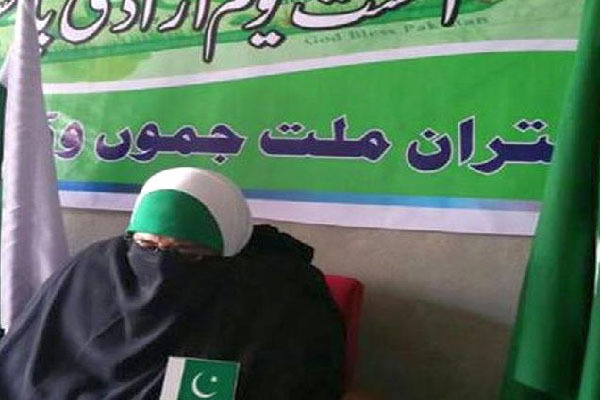 ISLAMABAD, Aug 28 (APP): The Chairperson of Dukhtaran-e-Millat (DeM), Syeda Aasiya Andrabi has appreciated Pakistan’s move to send its envoys to different countries to highlight the Kashmir dispute and expose the ongoing Indian aggression in Indian Held Kashmir (IOK). Aasiya Andrabi in a statement issued in Srinagar said, “This is a welcome step taken by the Pakistan government. Pakistan has always highlighted the Kashmir issue and what people here have been facing under the forcible control of Kashmir. Once again it is Pakistan which is making all efforts to help the oppressed Kashmiris by taking our voices to the international community,” Kashmir Media Service reported. She said that New Delhi and its puppets are frustrated as they feel that they are losing the ground in Kashmir with every passing day. “They are trying to discredit the resistance leadership among the people and the people among the resistance leadership,” she added. She appealed to the people to remain steadfast and not let this movement die down. Meanwhile, Anjuman Shari Shian in a statement said that police have been harassing its activists and forcing them to report to police stations. Condemning the police action, the organization said that “such tactics will not break the resolve of freedom loving people.” “Whole Kashmir is protesting against atrocities and innocent people are being killed. It is the right of the people to protest and hit to roads,” he said.